Rule number one for visiting any Disney Park is plan, plan, plan. This is a great tool to plan for a fun, time saving visit thus avoiding frustrations and heartaches sure to beset those that do not plan. 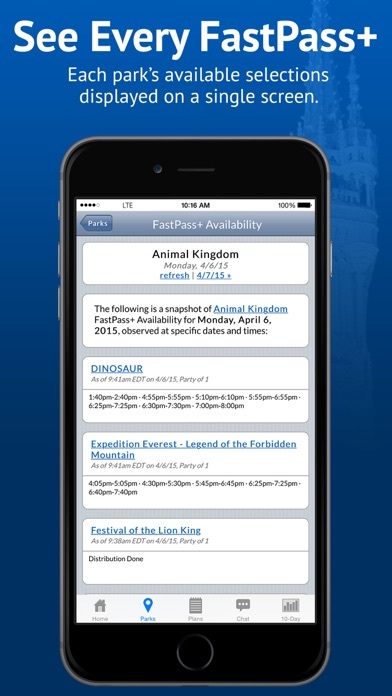 The daily plans are awesome and provide plenty of flexibility to ensure your visit is what you want. 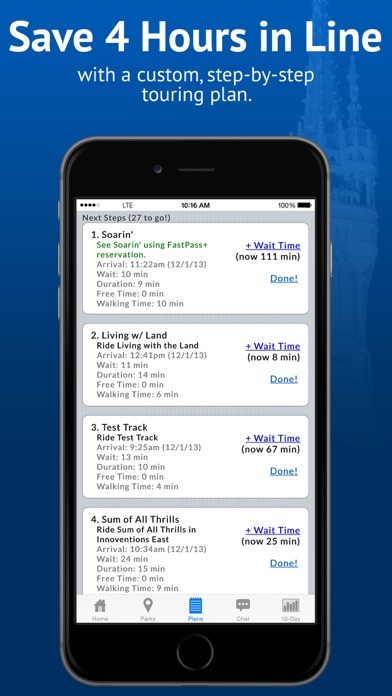 I found the wait times to be far more accurate than the WDW app and provide a much better plan for our visits. 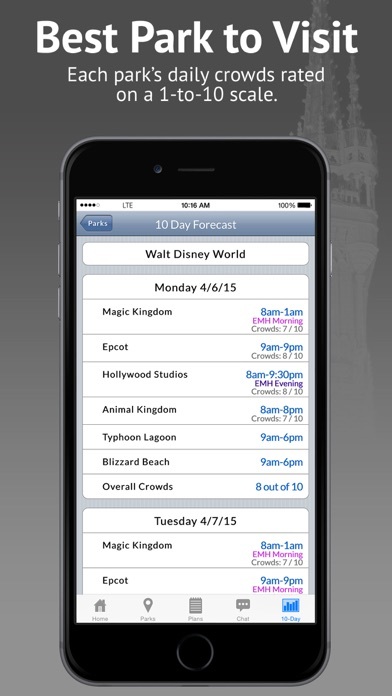 Have used this app at both Disneyland and Walt Disney World and found it to be well worth the cost...a must for first time visits. Be sure and download it prior to going so you can build daily plans, learn a few tricks on the chat board, and get some familiarity with its capabilities. 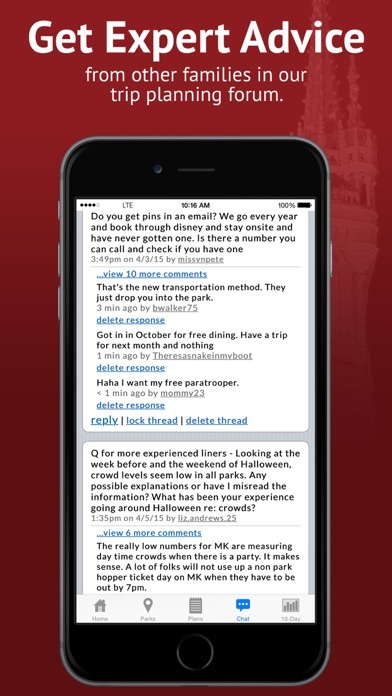 Overall, a great app! This is the fourth time we have made a trip using the Unofficial Guide. Our vacation was so relaxing and fun while using the Lines app in the park as we followed our custom plan. This trip we visited all four Disney parks in Orlando during the last week of March. The crowd levels were at a level 7, 8, and 9 during our days in the parks yet we never waited more than 35 “park minutes” for anything. The majority of the attractions we waited less than 15 minutes!!!! We did get to Animal Kingdom before the park opened so we had to wait for rope drop but made it through Flight of Passage by 9:35 (with 9:00 park opening). I can’t praise this system of touring Disney enough! A bit of planning at home will make so much difference in your touring days at the park. My family was so amazed that we made it through all the attractions we wanted to see with breaks during the day and no long lines! 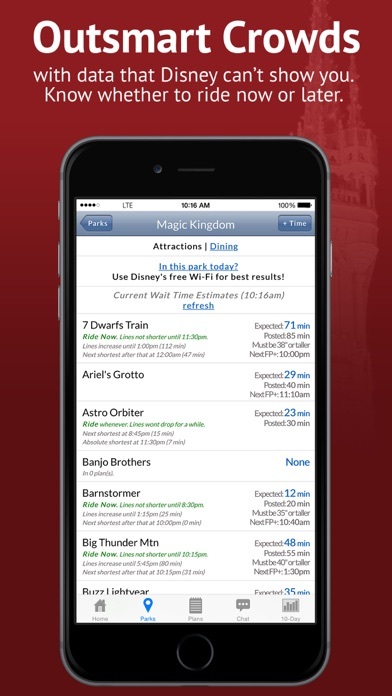 The Unofficial Guide is our best friend for our Orlando vacations - you really get to enjoy your time seeing the attractions vs. standing in line all day. We give it a 5-Star rating!!! I have used this app and the book for the past 10 years. I love it. We don’t have a choice of when when we visit and it is usually at the busiest times. We make the most of our trip by using the touring plans and all the fantastic tips. If you are going to a Disney Park and haven’t subscribed yet, Do it.